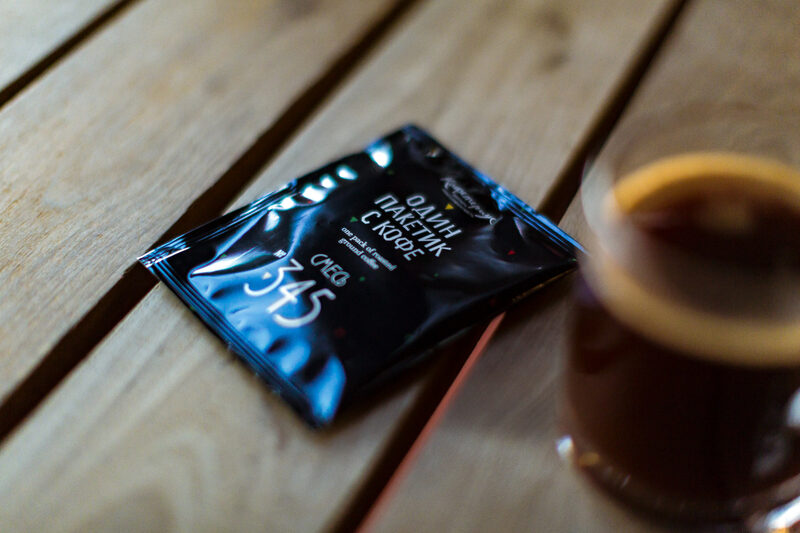 Task: to produce coffee in bags. Incredible joy! 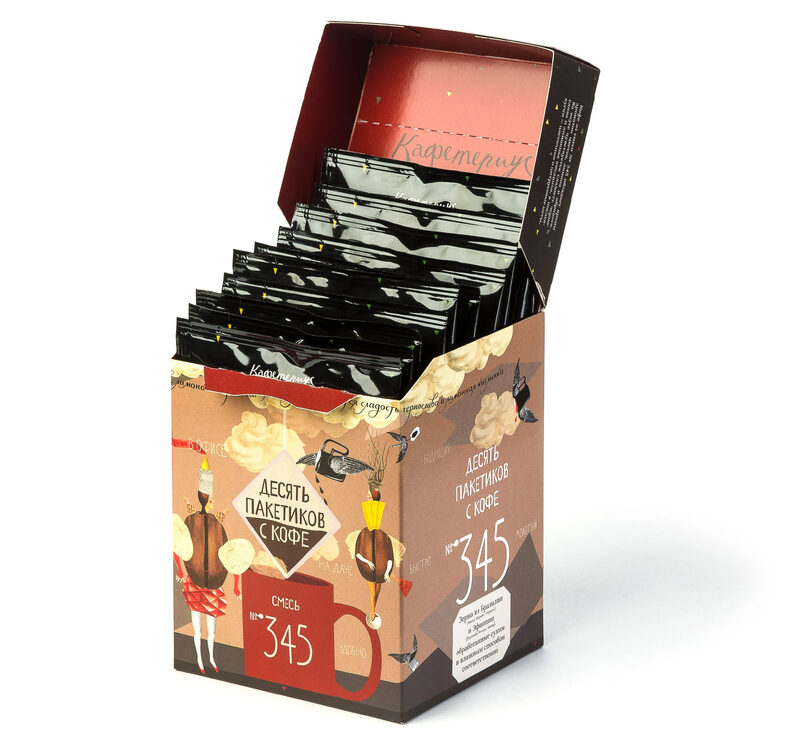 Caféterius began to produce coffee in single-serve bags. 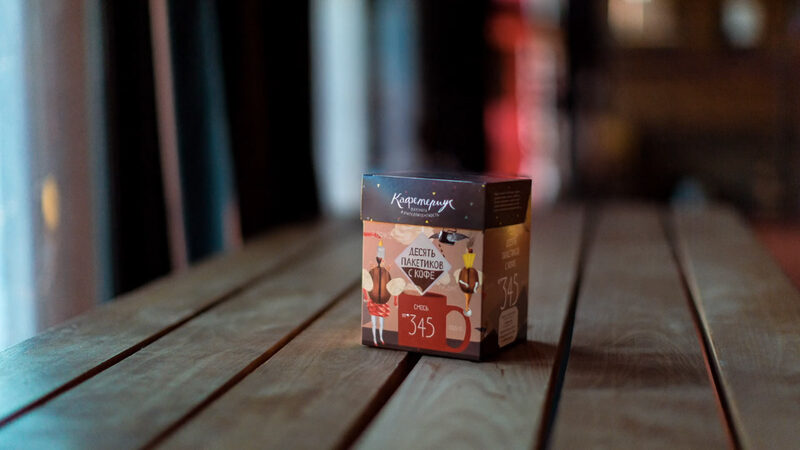 Each bag has 10 grams of freshly roasted ground coffee made from Coffee Blend #345 (two varieties of arabica from Brazil and Ethiopia taken in equal proportions). Now you don’t need to suffer if you have no time to go to a café and there’s no coffee machine nearby. A coffee bag, some hot water and three minutes later you have a delicious cup of coffee. An interesting feature: coffee bags lift up when you open the box. The beautiful package can become a nice present to someone or a treat for yourself. Lifehack: if you bring a box of Blend #345 to the office and don’t tell anyone that it isn’t instant coffee, some of the coworkers might get suspicious. —What’s the deal here? Why does it taste so good? !